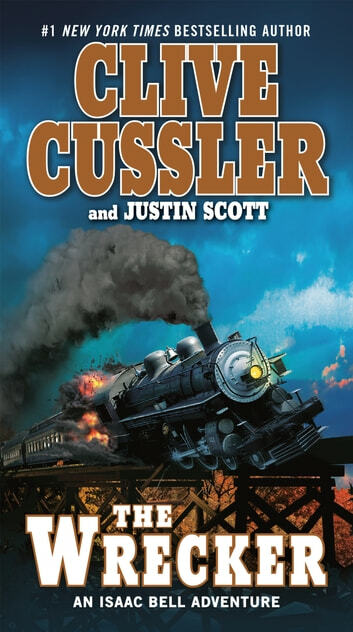 Detective Isaac Bell travels the early-twentieth-century American railways, driven by a sense of justice and a determination to stop a new mastermind reigning terror on a crucial express line in this #1 New York Times-bestselling series. A year of financial panic and labor unrest, 1907 sees train wrecks, fires, and explosions sabotage the Southern Pacific Railroad’s Cascades express line. Desperate for help the railroad hires the fabled Van Dorn Detective Agency. Van Dorn’s best man, Isaac Bell, quickly discovers a mysterious saboteur haunting the hobo jungles of the West. Known only as the Wrecker, he recruits vulnerable accomplices from the down-and-out to attack the railroad, and then kills them afterward. The Wrecker traverses the vast spaces of the American West as if he had wings, striking wherever he pleases, causing untold damage and loss of human life. Who is he? What does he want? Is he a striker? An anarchist? A revolutionary determined to displace the “privileged few”? A criminal mastermind engineering some as yet unexplained scheme? Whoever he is, whatever his motives, the Wrecker knows how to create maximum havoc, and Bell senses that he is far from done—that, in fact, the Wrecker is building up to a grand act unlike anything he has committed before. If Bell doesn’t stop him in time, more than a railroad could be at risk—it could be the future of the entire country. Once again clive cussler has blown my mind with his unique writing style. None other than clive have the power to keep me entranced by a book all night. I truly enjoyed every page. Not once did I get lost in the events as the story switched from one charcter to another or one location to another. Very well put together. Another home run by Clive! Yet another character who makes you feel as if you've known him forever and just when you feel you know what's about to happen he twists the plot. Another great plot. Excellent book. Cussler is so good at bringing suspense with a mix of history. Always believable and entertaining.